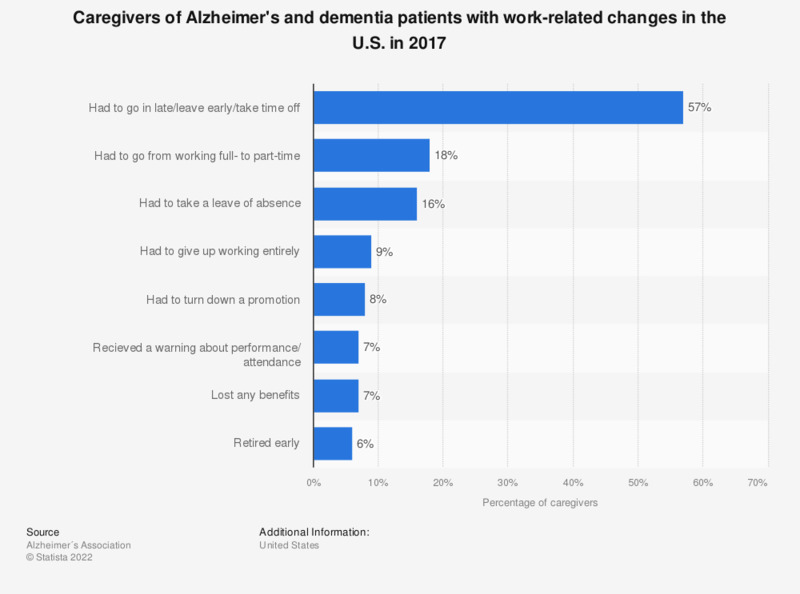 This statistic displays the percentage of caregivers of people with Alzheimer's disease and other dementias who experienced select work-related changes in the United States, as of 2017. Some 16 percent of these caregivers had to take a leave of absence. Everything On "Alzheimer's and other dementias" in One Document: Edited and Divided into Handy Chapters. Including Detailed References.